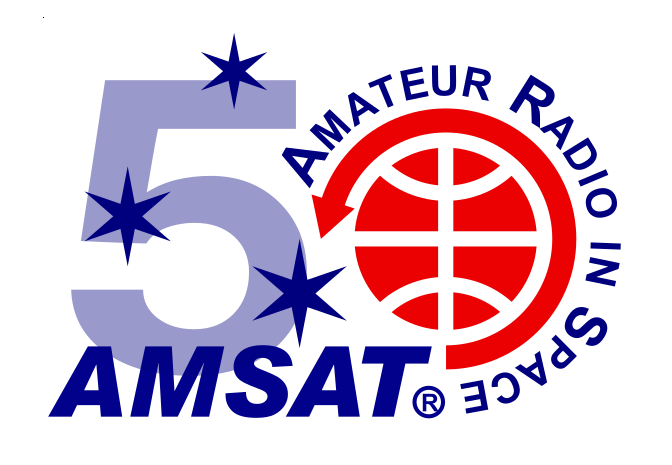 As the Radio Amateur Satellite Corporation (AMSAT) approaches its Golden Jubilee, I want to introduce myself to all AMSAT members. At the recent Board of Directors meeting in Reno, Nevada, I was elected President of AMSAT. Founded in 1969, AMSAT is an all-volunteer organization (the only exception is our office manager, a paid employee) that has been instrumental in “keeping amateur radio in space” over the past 48 years. I can truly say this is a humbling honor, not only being asked to assume the command of the organization but also having to “step up” as Barry Baines, WD4ASW, our now Immediate Past President retires. 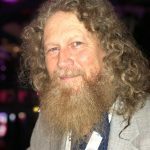 Barry served as AMSAT President for the past nine years, through the initial CubeSat generation of Fox satellites. With Fox-1A (AO-85) and RadFxSat (Fox-1B / AO-91) already launched, the upcoming launches of, Fox-1Cliff, 1D, and RadFxSat-2 (Fox-1E) truly will be part of Barry’s leadership legacy as President. As one of my good friend’s three-year-old granddaughter said this past summer before meeting me, “What’s a Joe?” I am simply an amateur radio operator, K6WAO, formerly KF6JQF. First licensed 20 years ago, I now have my Amateur Extra class license. I also have FCC Commercial licenses, and I’m a Life Member of AMSAT. Professionally, I’ve been a specialist, technician, supervisor, staff aide, systems engineer, instructor, engineer, and RF designer. For AMSAT, I’ve been an Associate Director, Director, Vice-President, Executive Vice President, and now President. One essential quality I bring to this new-to-me position is a passion for what I do. I serve at the discretion of the board for a one-year term, extendable each year at the Annual General Meeting. The board has ensured that I have one of the best teams of executive officers available to the organization. Paul Stoetzer, N8HM, will serve as the Executive Vice President, and Clayton Coleman, W5PFG, as Secretary. Keith Baker, KB1SF, will continue as Treasurer, with Jerry Buxton, N0JY, continuing as Vice President for Engineering. Drew Glasbrenner, KO4MA, and Frank Bauer, KA3HDO, will continue as Vice Presidents for Operations and Human Spaceflight, respectively. Gould Smith, WA4SXM, has agreed to continue as Director of Field Operations. The AMSAT Symposium in Reno was well received by the attendees, with guests from as far as the Philippines, U.K., and Germany. I discussed the state of the organization, noting that the financial situation has improved slightly, but that daily operational costs still exceed revenue. The bottom line is AMSAT must find efficient ways of doing business to continue keeping amateur radio in space. A continued evaluation of our Strategic Planning Goals is needed to discover where we are successful and where we need to improve performance. If you missed the Symposium, a few Symposium Proceedings books are still available on the AMSAT Store. Jerry Buxton’s report on the Fox CubeSat news focused on the launch of RadFxSat (Fox-1B). After several launch scrubs, RadFxSat finally lifted off from Vandenberg Air Force Base on November 18th. Maurizio Balducci, IV3RYQ, in Cervignano del Fruili, Italy, was the first to receive and upload telemetry showing that the satellite was healthy. Shortly thereafter, Fox-1B was designated AO-91 and is now operational. I hope for the success of the mission and long life to our newest satellite! Fox-1Cliff and Fox-1D are scheduled to launch before Summer 2018 from our partners at Spaceflight. In fact, Fox-1D was integrated into its Innovative Solutions in Space QuadPack for delivery to India on November 6th and will launch on the next ISRO Polar Satellite Launch Vehicle (PSLV) flight, scheduled to take place by the end of December. RadFxSat-2 (Fox-1E) is also scheduled to launch before the end of 2018. The board has assigned me as president to work on developing several policies this year. Two policies are high on the agenda. The first concerns the creation of an AMSAT Scholarship to allow two or three students to attend Hamvention or the AMSAT Space Symposium and General Meeting. The formation of the general rules and procedures for the scholarship are in the preliminary stages, but the initial idea is to grant scholarships for Engineering and a scholarship for Educational Relations, with those scholarships to be awarded on merit. We hope to have the policy developed within the next few months. I want to thank Michelle Thompson, W5NYV, for the initial idea for the scholarship program. The second policy development regards the International Treaty for Arms Reduction/ Export Administration Regulations or ITAR/EAR. AMSAT needs to create this policy to protect our engineers and partners working on leading-edge satellite telecommunications projects. The policy will include a methodology to verify U.S. citizenship and provide compliance guidelines for our engineers and partners working on satellite projects. No ground-based projects should be affected at this time. A small team has been formed to undertake policy recommendations and legal review. While having a well-developed policy is always an exercise in due diligence, in my opinion, the real solution is for U.S. policymakers to exempt experimenters and perhaps even CubeSat builders from these regulations. Amateur Radio on the International Space Station (ARISS) has completed the Phase 0/1 Safety Certification for the Multi-Voltage Power Supply (MVPS) but still needs to raise an additional $150,000 to launch the Inter-Operable Radio System’s (IORS) to the ISS. By performing the safety certification itself, ARISS saved approximately $100,000 that would have been needed to hire an outside contractor to perform the certification. Watch for upcoming fundraiser announcements, and please contribute what you’re able to afford. With the many projects and contacts on- going, the ARISS team met in Rome for the ARISS-International Face-to-Face Conference. They met with the AMSAT-UK and AMSAT-DL teams at the AMSAT-UK Colloquium the following week to work on a European Space Agency (ESA) proposal for a Deep Space Gateway. While at Milton Keynes in the United Kingdom, Frank Bauer, KA3HDO, was presented with the Ron Broadbent, G3AAJ, Trophy by our great friends in AMSAT-UK. Congratulations to Frank on an award-winning year. I’ve saved the best news for last. In Reno, I had the pleasure to announce the next phase of a CubeSat program, Greater Orbit, Larger Footprint or “GOLF.” The initial satellite will be GOLF-TEE, a 3U Technology Demonstrator CubeSat with deployable solar panels and an Attitude Determination and Control (ADAC) experiment. As an initial step in the GOLF program, the board approved the submission of a NASA CubeSat Launch Initiative proposal for the GOLF-TEE satellite project. The GOLF-TEE project will serve as a rapidly deployable Low Earth Orbit (LEO) testbed for technologies necessary for a successful CubeSat mission to a wide variety of orbits, including LEO, Medium Earth Orbit (MEO), Geosynchronous Orbit (GEO), Highly Elliptical Orbit (HEO), or beyond. AMSAT-NA Vice-President Engineering Jerry Buxton, N0JY, explained the new project. “The GOLF-TEE project tees off the next phase of our CubeSat program. GOLF-TEE provides AMSAT hardware and knowledge for Attitude Determination and Control (ADAC) capability and the opportunity to develop a 3U spaceframe with deployable solar panels that can be used in LEO or HEO missions, two of the major systems required in future GOLF and HEO missions.” GOLF-TEE also provides the opportunity for rapid deployment and on-orbit testing of the AMSAT’s Advanced Satellite Communications and Exploration of New Technology (ASCENT) program’s technology. A radiation tolerant transponder and Integrated Housekeeping Unit (IHU) are two technologies that will lead the way for low cost commercial off-the-shelf (COTS) systems that can function in the MEO and HEO radiation environments. GOLF-TEE will also provide for the development of “Five and Dime” Field-Programmable Gate Array Software Defined Radio (FPGA SDR) transponders for use on a variety of missions and orbits. I hope you are as excited as I am about the new developments in AMSAT. I encourage you to do your part, whether that’s operating the satellites, giving AMSAT or ARISS support, or bringing dollars or members to our organization.